The Department for International Trade’s Export Hub is coming to Oxford Science Park on Thursday 5 October 2017. Drop in and speak with an International Trade Adviser about export opportunities and enhancing your business profile. The Export Hub is a B2B tour designed to help the government get UK SMEs face-to-face with live export opportunities. 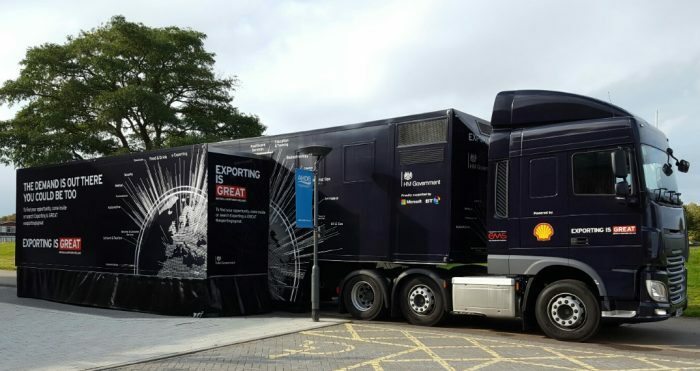 The tour aims to inspire and support 100,000 additional UK exporters to sell their goods and services overseas by 2020. The Export Hub will be parked outside Magdalen Centre South in visitor parking area. To find out more and how to register contact 0330 300 0012 or email info@tradesoutheast.com NO REGISTRATION NECESSARY.